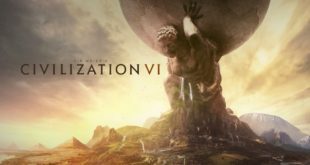 It’s been almost a month since Civilization VI, the sixth installment in the long-running Sid Meier’s Civilization series was released. Now that all the hype and buzz (and initial disappointment) has died down, we will take a deeper look at this new iteration of the beloved turn-based strategy game, and break down the good, the bad, the ugly, and figure out what’s to come. Let’s get to it, shall we? It's been a long journey for our guy Desmond and it isn't even close to being over. The new installment to the series brings in a new ancestor for Desmond to possess and this time it's a little closer to home, North America in fact and during the American Revolution. US History buffs rejoice, you'll be seeing familiar names and faces as well as new features and new type of gameplay. What are we waiting for? Let's dive right in! It's been a while since we've heard anything breathtaking from Microsoft and on this year's E3, they dropped a bomb that could change the console industry. Remember project Natal? The video sensor based gaming control/interaction system they revealed on last year's E3? Well its not called Kinect (Kinetic Connect) and it could wipe Nintendo of the motion control map.